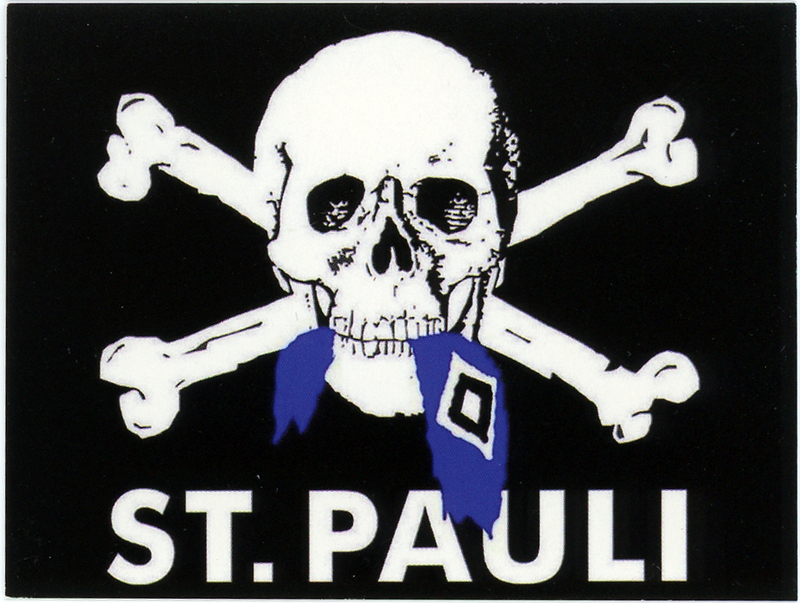 I did a little more research and polished my previous blog post on St. Pauli stickers for two reasons: 1.) I needed a shorter, condensed version without links to use in the Street Art Graphics digital archive, and 2.) 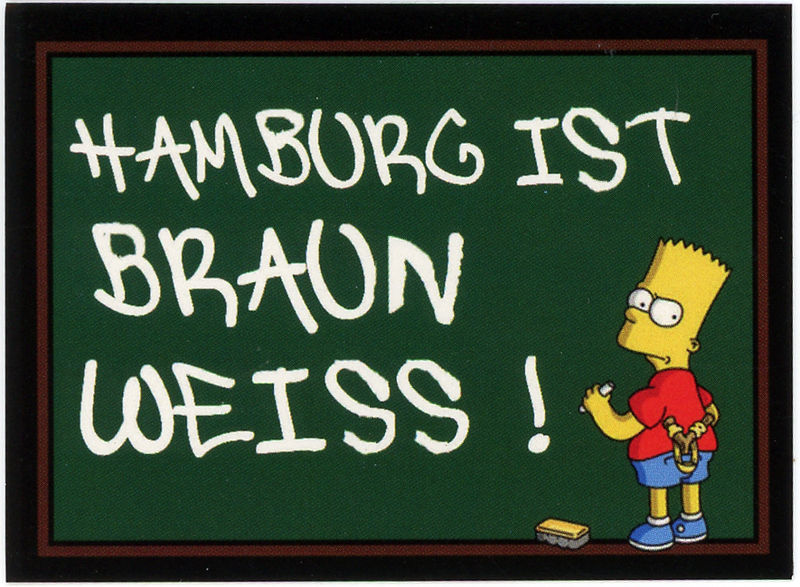 I will use this version in the traveling exhibition, Re-Writing the Streets: The International Language of Stickers. I can also use this exercise to show students the differences and similarities among a blog post, metadata for a digital archive, and an exhibition text panel. Hamburg, the German port city home to the St. Pauli football club (Fußball St. Pauli or FC St. Pauli), hosts a sports team well known for its outspoken anti-racist, anti-fascist, anti-sexist, and anti-homophobic politics and its staunchly progressive social activism. Founded in 1910, the club is located in the working-class district along the docks near the Reeperbahn red-light district, and for the past thirty years has maintained a certain cult following across Europe, initially attracting radicals, squatters, dockers, and prostitutes in the 1980s, and later, anarchists, punks, bikers, anti-fascists, and other politicized groups. Known as the “pirates of the league,” the club has adopted a number of shipyard-related visual icons, including the Jolly Roger flag’s skull and crossbones, which is the unofficial crest and seen everywhere, as well as anchors, galleons, and sword brandishing buccaneers. St. Pauli was the first team in Germany to ban right-wing activities and displays at its stadium, in response to hooligan fascists and neo-Nazis in the 1980s and ‘90s that were infiltrating matches across the country, fighting rival teams and police, and causing a great deal of violence and damage. The sticker “St. 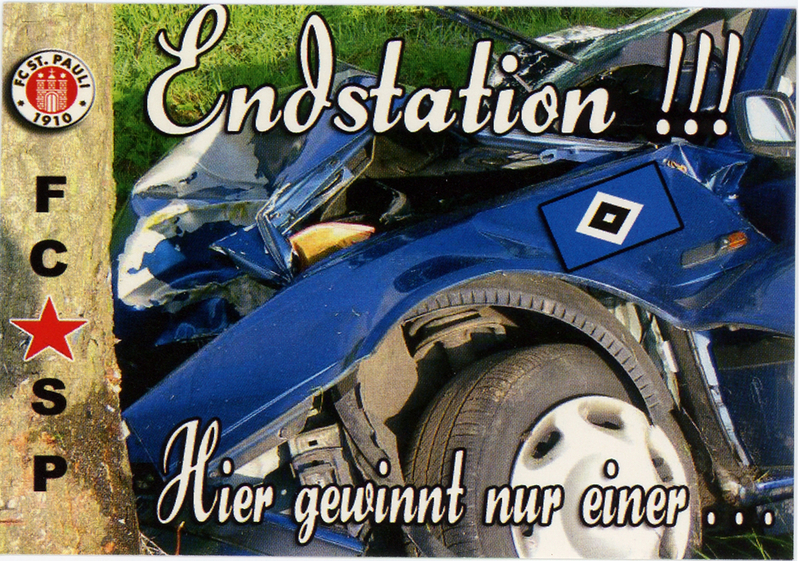 Pauli-fans gegen Rechts!” or “St. Pauli fans against the Right!” has been widely produced and distributed and is said to have sold over two million copies. Variants of “St. Pauli is brown [and] white,” the team’s home and away colors, are also common. Many St. Pauli stickers portray the revolutionary guerrilla leader, Ernesto “Che” Guevara. Others incorporate ad-busting techniques and similar forms of culture jamming, as seen in the appropriation of popular television and cartoon characters such as Homer Simpson, Hello Kitty, and Beavis and Butthead. One of St. Pauli’s closest rival teams, the wealthier Hamburger Sport-Verein (HSV or H$V), utilizes a blue, white, and black diamond crest that is often mocked in St. Pauli stickers. I want to have the St. Pauli Kitty (Scheiß Egal st. Pauli) as a poster… how can I get in 86×140?